A good sportsbook review needs a comprehensive easy-to-read rating system. We are not the first to write an online sportsbook review, nor will we be the last, but we use strict guidelines and an open mind – no matter the brands stature. With so many sports betting options available to players today, we work hard to produce reviews that are useful and easy-to-read. Picking a sportsbook should never be gamble so please take a moment to familiarize yourself with our ratings guide and, to save some time, consult our Top Sportsbooks section. 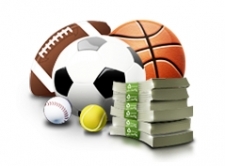 We’ve taken the time and care to go through all of the best and least known sportsbooks and sports betting sites on the internet to provide you with in depth reviews you can trust. Please make sure to look through our recommended online sportsbooks reviews for a look at the most respected online sports wagering sites. Feel free to look at any of the secondary sportsbooks that we have reviewed. You will find our reviews to be exhaustive and honest, with an atention to details when it comes to the sign up bonus ofers and sportsbook promotions.